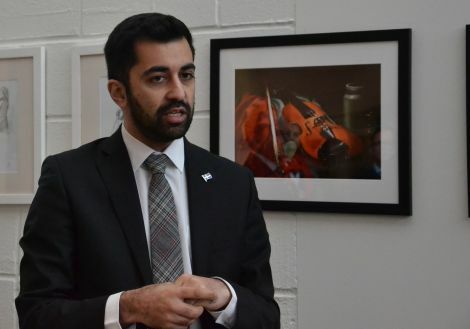 SCOTTISH transport and islands minister Humza Yousaf says talks are continuing over plans to reduce ferry fares to the Northern Isles and new means of funding Shetland’s inter-island ferry services – but there remains no specific timescale for either. Speaking on a visit to Shetland to attend the Highlands and Islands Convention, Yousaf said the SNP government was only nine months into its new term and remains fully committed to meeting its manifesto commitment to bring fares down. Meanwhile, local politicians had been of the understanding that a new funding package for ferries within the islands would be in place for 2017/18, but earlier this month Transport Scotland said that was not the case. Yousaf told Shetland News work was “progressing very, very well” and “we won’t be waiting years and years”, but he did not understand where people had got the idea that a commitment for the upcoming financial year had been made. Local politicians had been led to believe there was a line contained within the Scottish Government’s draft budget pertaining to Shetland and Orkney’s inter-island ferries. But the minister said: “I would love to see the line – I’ve not seen… anybody produce any proof of their suggestion that somehow there was money earmarked. “Tavish Scott and the Liberal Democrats could have engaged in the budget process, they could have said that as part of the budget process, we’d like X, Y, Z money set aside for internal ferries. Yousaf pointed out that the Scottish Greens, who did support the budget, in exchange won an extra £160 million for local authorities. That money is “un-ringfenced” and island councils were therefore free to spend it on ferries. However, Shetland’s share of that funding will only be a fraction of the gap – in excess of £6 million – between what the government gives the SIC towards ferries and what the local authority spends on those services. Yousaf said the SNP remains “very clear” that it favours the principle of fair funding, though his chief priority “would be to make sure that we live up to the manifesto commitment, which was to reduce fares to the Northern Isles”. The government has also announced a policy review that will see the existing Serco NorthLink contract, due to expire in April 2018, temporarily extended while the possibility of using an “in-house operator” rather than putting the service out to tender is considered. He would not be drawn on whether the SNP was keen on effectively renationalising the route, saying that even if all the necessary criteria – including state aid rules – were met “the main factor determining whether or not there will be tendering… will come down to local communities”. “I wouldn’t prejudge the outcome by somehow suggesting there won’t ever be any competitive tendering in the future,” he said. 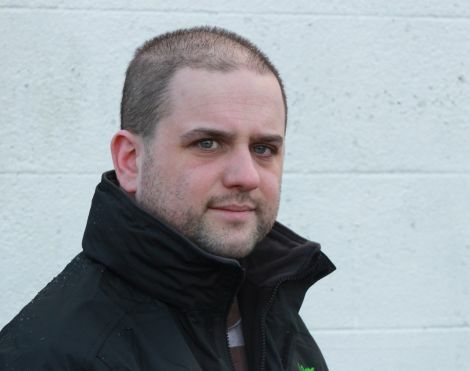 Responding to Yousaf’s comments, upcoming North Isles council candidate and ferry fares campaigner Ryan Thomson said: “This campaign certainly didn’t expect cuts straight away. However, I am concerned that nearly a year down the line we have yet to receive a timescale. “Nevertheless, I remain confident that the reduction in our fares will arrive, and I will continue to press the Scottish Government on delivering these cuts sooner rather than later. Thomson said the government “must provide parity” between west coast ferry services and those within Shetland and Orkney.